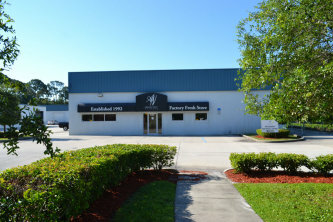 Is a Brevard County manufacturer of natural and organic spa products including cleansers, moisturizers, suncare, haircare, bath salts, and sugar scrubs. Absolutely Natural pioneered the original all natural, chemical-free sun care in the early 1990’s and has set the same exacting standards for our organic spa care. All of their products are carefully selected from nature’s most nutrient and vitamin rich plants, minerals and renewable sources. Throughout their 26-year history, they have never compromised on the integrity of their ingredients/formulations and have sought only to provide the finest natural skincare products available anywhere. They provide unparalleled products and services to the most discriminating clients. 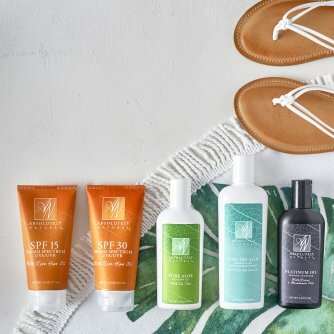 Their organic spa products have traveled the world and been featured in luxury spas throughout the Hawaiian Islands, the Caribbean and more. The company has built their reputation on providing excellent products and partnering with their clients to design products and services around their unique preferences. They continually expand their product lines and programs toward an ever increasing market demand for unique, quality and signature products. Absolutely Natural is most proud to be associated with some of the finest resorts in the world through their signature products, private label and professional treatment products. They are now ready to build upon their rich history by extending their products to broader markets across the mainland United States. Bring a little of the spa home today! Absolutely Natural works to support sea turtle rehabilitation, rescue and awareness. Why sea turtles? These beautiful, gentle creatures need our help. The ecosystems that support sea turtles and other ocean-based creatures are being continually damaged by chemicals, litter and fishing effort to name a few. They make regular donations towards efforts to rehabilitate rescued sea turtles and educate the public on how they can help make a difference.